You’ve cracked your cell phone screen. Whether it slipped out of your hand while you were on a call or you left it on top of your car when you drove away, the glass is smashed. Fortunately, the display still works, and perhaps the touchscreen controls too. So, what do you do now? 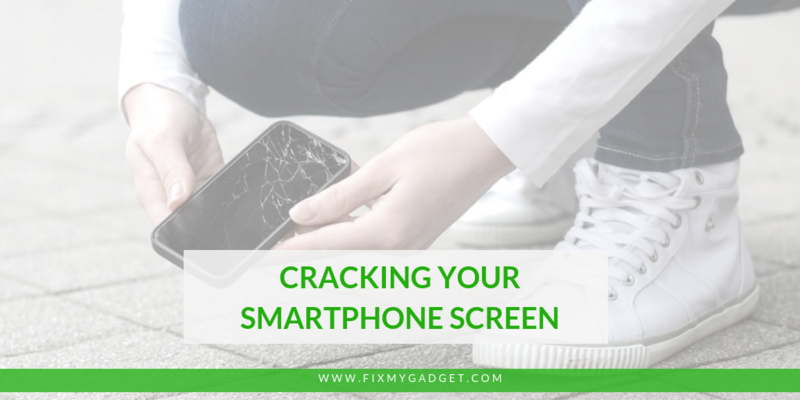 Here are some things to do right after cracking your phone’s screen. 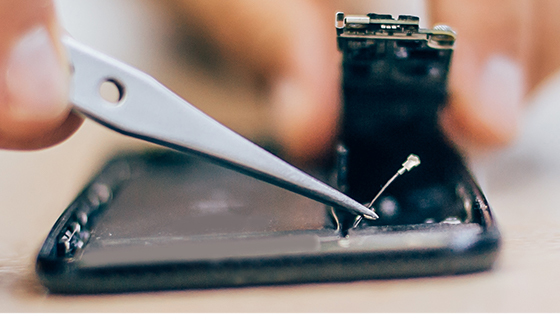 The first thing to do is check if your phone insurance covers cracked screens, and under what conditions. If so, arranging a fix should be straightforward. In most cases, the main problem is going to be without your phone for a few days. That’s as bad as it gets (although you might have to pay an excess charge). The problems with cracked smartphone screens start when it transpires you cannot get a replacement screen on the insurance. When this happens, you’ll need to take matters into your own hands. You need a phone, but your screen is cracked. So, what can you do? Well, a good option is to just use an old phone instead. Whether your phone cannot be used due to the smashed screen, or its been sent away for repairs, you’ll need a replacement. The best place to find one is usually stashed away in the back of a drawer. Even if you don’t have an old phone you can switch to temporarily, a friend or relative might. Ask, and you’ll have a handy replacement until you’ve decided what to do with your phone and its cracked screen. By now, you might have realised (or decided) that you don’t actually need a new phone. Better still, you can fix a broken mobile phone display yourself with the right instructions. Thanks to the internet, the chances are you’ll find a DIY fix for everything online. YouTube is another great resource for repair tutorials. Benefits of a DIY fix include the keeping down the cost of repair, as well as a feeling of accomplishment. It’s worth keeping in mind that without the right preparation and skills, you might mess it up. How much is it to replace a phone screen? While you could ship your phone to the official manufacturer, you’re going to pay through the nose for that option. Look at Apple’s repair fees—it’s not cheap to get a repair if you’re out-of-warranty. 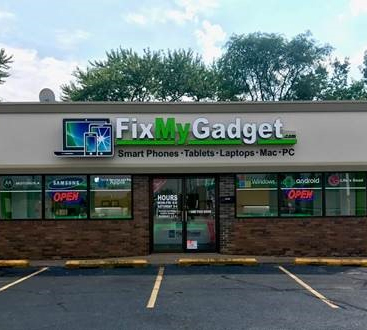 There’s probably a local phone repair shop that you can try, and a Google search will show you where to find one, as well as customer reviews. Although you’ll probably be paying by the hour, a skilled technician can replace a screen pretty quickly. 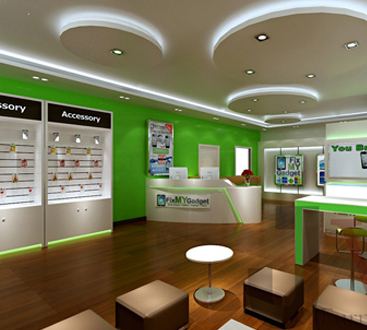 Check the prices and compare the repair shop’s competitors before you try them out. 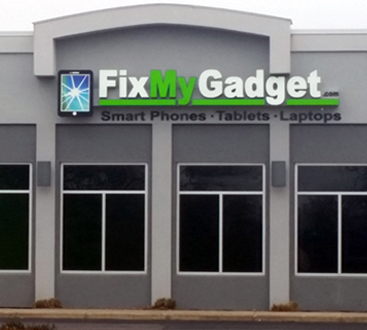 You can contact FixMyGadget.com to get your cracked screen repaired. Thinking about raising funds for a replacement? But did you know, you can even sell your broken stuff on eBay? You probably won’t get a whole lot of money for it, but you’ll get something that you can put towards a new phone. Many sites will also give you credit for buying a used phone when you trade yours in. You’ll probably get a better deal if you take credit instead of cash, so keep that in mind. With cash raised, check the web’s most popular online stores for a replacement. The best places to start are eBay and Amazon. You may even find a version of your own phone in used, but otherwise good condition. Just pay attention to the item description. You don’t want to end up buying a damaged phone! At the right price, buying a like-for-like, second-hand replacement can be a better option than buying a new phone. 6. Just Buy a New Phone! And, of course, the most obvious option: buying a new phone. Sometimes you just need to pony up the cash to replace your damaged device. Sure, it might be painful to spend that much money. But it might be cheaper than buying a replacement and upgrading a few months later anyway. If you were already thinking about upgrading soon, it might be best to just do it now. If you do decide to buy a new phone, don’t automatically buy one from your carrier. Buy an unlocked version instead; it’ll save you a lot of money, even though it seems more expensive. If your phone is still working, and the screen doesn’t appear to be in danger of completely falling apart, why not just keep using it? Sure, it’ll be annoying to look at for a bit, but you’ll get used to it. Saving the money it would cost for a new phone is always nice. If you’re on a contract that’s soon expiring, this is your best option. Adding a screen protector might help keep the glass from cracking further, too. A glass protector might prevent further spidering. It largely depends on how extensive the damage is but adding a protector certainly wouldn’t hurt. While broken smartphone displays are frustrating, ugly, and kill your phone’s resell value, don’t let it cast a shadow. A broken smartphone screen is merely a challenge to be overcome. Eventually your phone is going to be replaced, so if the other options don’t work out, have a fall-back plan. You might contact the carrier for an upgrade, or simply carry on using the phone with the damaged screen.